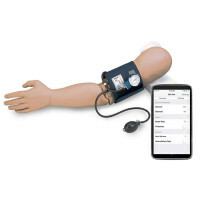 Provides an excellent means to practice listening to and distinguishing blood pressure sounds prior to actual clinical experience. It is possible to audibly discern the five Korotkoff phases. Many times when working with a live subject, pressures are difficult to auscultate, making accurate evaluation of student proficiency almost impossible, and undermining the student's self-confidence. 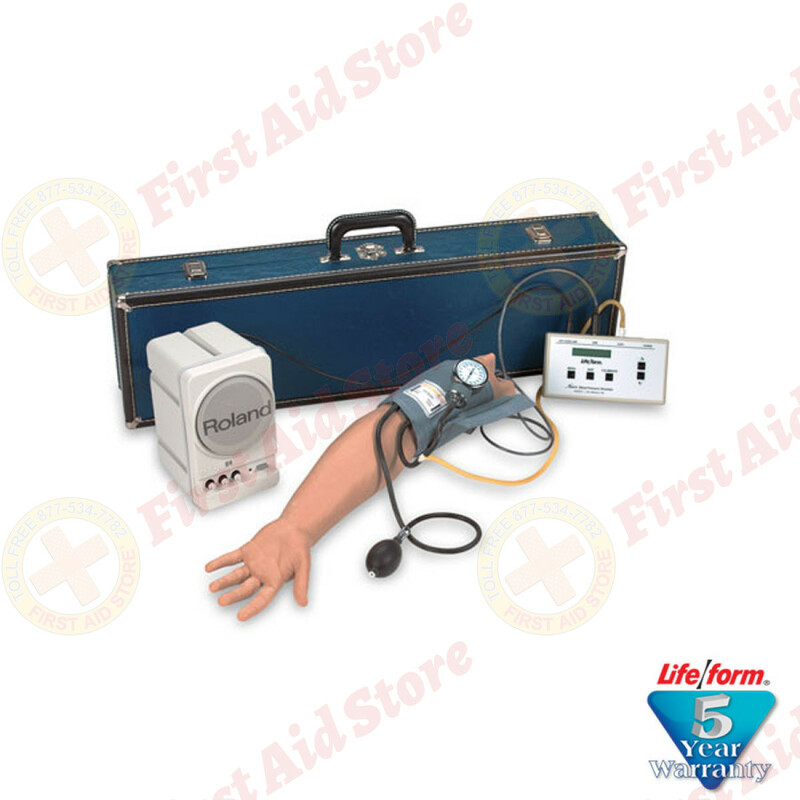 With this realistic unit, the student can find the preset results and the instructor can unfailingly know if the student has performed the procedure accurately. The electronically generated sounds are digitally recorded. With this realistic unit, the student can find the preset results and the instructor can unfailingly know if the student has performed the procedure accurately. 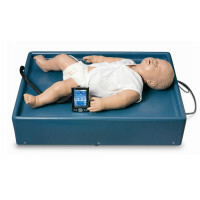 The electronically generated sounds are digitally recorded from MEDCOM/TRAINEX videotapes. 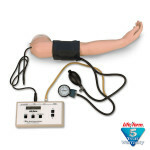 Any combination of systolic and diastolic pressures can be dialed into the control unit, and the instructor can control the pulse rate and volume level. An auscultatory gap can be added if desired. 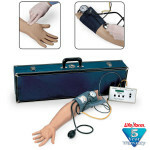 The Life/form® Deluxe Blood Pressure Simulator with Speaker System.